The Alexander Hamilton Society at Ohio State will host an event titled “The Syrian Civil War: American Policy in Syria” on Wednesday, focusing on the United States’ presence in Syria. The event will be an expert-led debate featuring Michael Singh, the Lane-Swig senior fellow at the Washington Institute for Near East Policy, and Randall Schweller of the Ohio State Political Science Department. 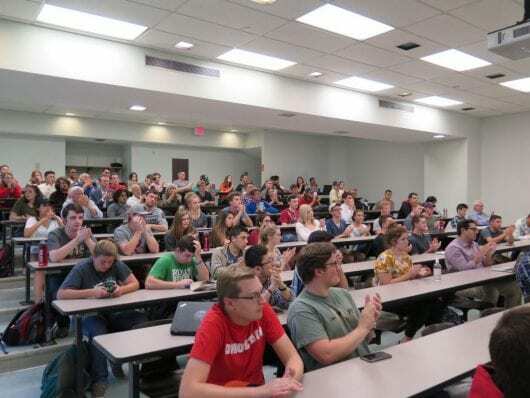 Michael Hurley, president of the AHS Ohio State chapter, said the topic was chosen for its timeliness, given the recent statements by President Donald Trump that the U.S. will withdraw from the region. “It is highly controversial, so we wanted to provide audience members with the perspectives of experts with different backgrounds and different ways of thinking about the issue,” Hurley said. AHS is a national foreign policy organization, and this event is the first of the semester for the Ohio State chapter. “The objective of the national organization is to train young Americans and young college students to be educated and to be better thinkers on American foreign policy,” Hurley said. The two experts will take up opposing sides of the issue, with Schweller — whose academic focus is in international relations — advocating pulling out of Syria and Singh arguing for why the U.S. should stay. Schweller argues that it is time to pull troops out of the region because the U.S. military has done all that it can do in Syria. Singh was not available for interview at the time of publication. AHS hosts meetings every week in addition to larger events such as Wednesday’s debate and encourages students of all backgrounds and political affiliations to join in on discussions and debates regarding American foreign policy. “Making sure that various points of view are represented at our meetings has always been a goal of ours but has become even more important for us recently,” Hurley said. The event will take place from 6 to 7:30 p.m. on Wednesday in the Psychology Building room 0006. That is a very difficuld discission. I could not imagine how they could discuss this without StudyClerk website at all. Sometimes I think that White House don’t know what to do in Syria.